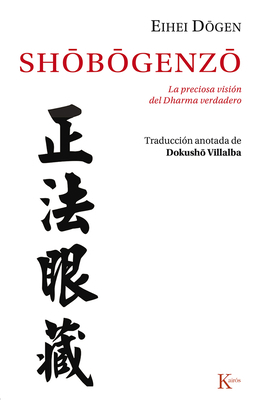 With the sensitivity and the idiosyncrasies of a Japanese spirit, this Spanish translation is a restoration of Japanese Zen Master Eihei Dogen’s great masterpiece. It is considered one of the most important works of religious and philosophical literature, not only in Japan, but throughout all of time. It was originally written in medieval Japanese over the course of 23 years as a summary of Chinese Buddhist culture that Dogen encountered during his pilgrimage to Chinese monasteries during the Song Dynasty. Eihei Dogen is the author of many renowned books of poetry, commentaries, and religious texts. He founded the Buddhist Soto Zen School and brought the tradition from China to Japan. His thought and vision continue to influence and shape Western and Japanese thought.